The newly opened Novotel Sétif hotel is ready to welcome you right in the heart of the city of Sétif, just 7.5 miles (12 km) from Sétif Airport. The hotel is ideal for your business or leisure travel. The rooms offer a perfect blend of modernity, flexibil ity and ergonomic design, with minibar, flat-screen TV and free WIFI. For your seminars and events, the hotel has 6 meeting rooms measuring 4715 sq. ft. (438 m²) in total. In the evening, unwind in the bar before sampling our chef's specialties. 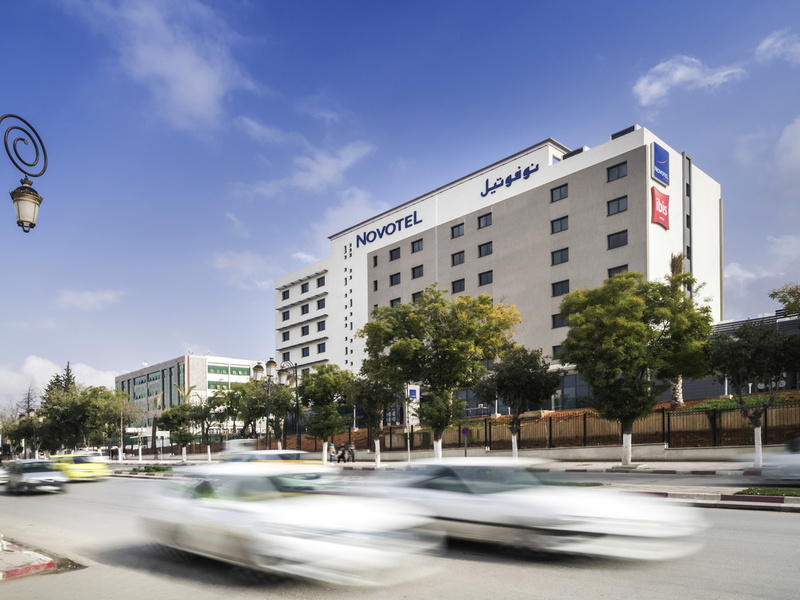 The Novotel Sétif hotel is perfect for every kind of trip, whether for business or leisure. Ain El Fouara fountain and the Maison de la Culture cultural center are just two minutes away. Discover the wonders of Eastern Algeria, from Djémila to Babor. With a contemporary and completely modular design, Novotel's spacious rooms are real living spaces and can be adapted to suit all requirements. The perfect place to unwind and sip a cocktail or a refreshing drink in a modern and friendly atmosphere.